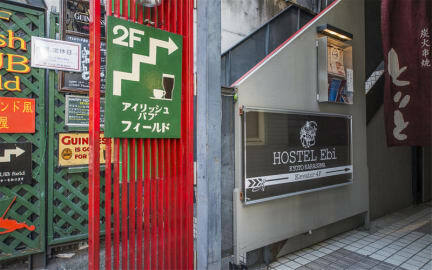 Hostel Ebi i Kyoto, Japan: Reservér nu! Very nice hostel. It is very clean and has a nice laid-back atmosphere. The owner, Jiwon, is a very nice and interesting guy who is helpful with anything. Beds are very cozy and comfortable. Overall I am very impressed. Location-wise, it is not too far from the station and somewhat near Nijo Castle and The Imperial Palace, although it is somewhat far from other attractions, since they are scattered throughout the city. 4 guys traveling together - this was one of our best stays in Japan. 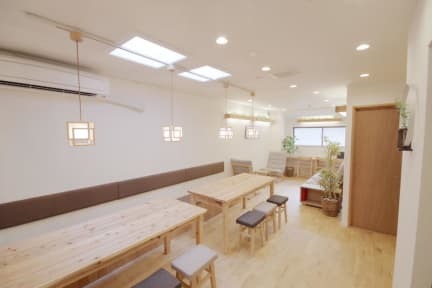 Great location right in Kyoto downtown district. The owner was very helpfull in giving us great pointers to our stay - he was cool, relaxed and very friendly. We would recommend this place to anyone going to Kyoto.